We are equipped with several presses that allow to cut with steel punches realised according to your project. 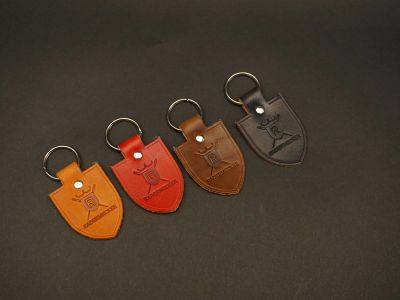 The leather is customisable to suit your desires by stamping, for example, your logo or your initials, thanks to our different techniques of marking. 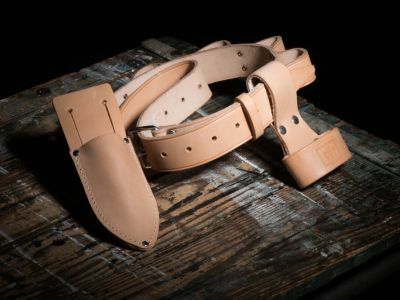 Made from our Niagara leather, vegetable tanned and handfeed, the RADERMECKER® Belt perfectly represent our mindset: Robustness, authenticity and natural. The use of forged buckle, riveted assembly and our Niagara leather will guaranty the patina, high resistance and exceptional life-time. The belts are tailor made with your dimensions and marking requirements. RADERMECKER® Brand stamped on our iconic leather : NIAGARA. 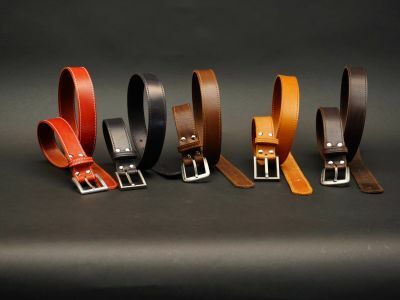 Natural full grain leather belt for fitter. 5 tools rings and hammer holder. High-strength nail holder in crust leather tinted in 2 mm thick. 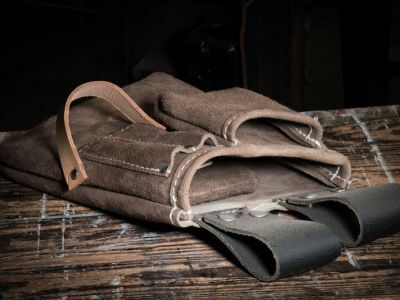 Reinforced seams with rivets. Nail holder equipped with a meter holder and pencil holder. Le message n'a pas pu être envoyé !